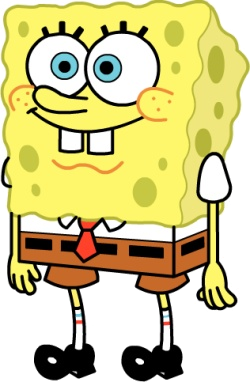 The Politics of SpongeBob | Inertia Wins! Two unrelated news stories caught my eye this morning that capture the depth of today’s political discourse. The first is a Politico story explaining, apparently in all seriousness, why SpongeBob Squarepants is becoming a Republican icon. In the name of balance, the story even includes a negative quote from Al Sharpton, presented without irony. In the second story, a wit presented HHS Secretary Kathleen Sebelius with a copy of Websites for Dummies at an event, as a tactful reminder of the difficulties her department has had getting various insurance exchange websites to work properly. This is why I work in policy, and not politics. This entry was posted in General Foolishness, Media, Political Animals. Bookmark the permalink.